Have you ever wondered what factors in a person’s birth chart might indicate causes of specific illnesses or accidents? Whenever we are faced with a health challenge or accident which harms some part of our body, a look at our Vedic Astrology natal chart will reveal some corresponding dysfunctional dance happening among our planets, at that time. From our head and brain down to our toes, each part of our body is represented by one of the 12 houses in our birth chart, as well as one of the 12 signs of the zodiac underlying each of these houses, and also one of the 9 planets we use in Vedic Astrology. An examination of the condition of each of these planets in one’s chart tells the story of what conditions we may have to face. The planetary cycles or dasha periods that apply to each individual’s chart are unique to this system of astrology and show us when these challenges are likely to occur. The dashas are major time cycles, lasting from 6 to 20 years, which give a primary theme for the life lessons we encounter in that time period. These dasha cycles actually are operating at five levels all the time, like a corporate hierarchy of graduated influence similar to Chairman of the Board, President, Vice President, Manager, employee. Some things are very obvious. For example, Jupiter rules the liver, so if we see a weak or afflicted Jupiter in the birth chart, we can advise the individual to avoid or reduce the consumption of alcohol. If there are fiery planets in the first house (which represents self and body), we know that the person would have what is known as a “Pitta” constitution in the Ayurvedic healthcare system, and really needs to avoid too much “heat.” That would include too much exposure to the Sun, physical overexertion or even a lot of hot, spicy foods. Fortunately, when we see potential problems, Vedic Astrology includes the knowledge of “remedies” as well, which will be the subject of a future article (these include attention to lifestyle and nutrition, Ayurvedic preventive healthcare, appropriate gemstones and “yagyas”, ancient sacred ceremonies). It is a matter of learning which planets are troublesome in general (these are called Malefics), and which planets are especially troublesome in one’s particular birth chart (functional Malefics). Then we look to see what they are doing, to determine which part of the body may be adversely affected. 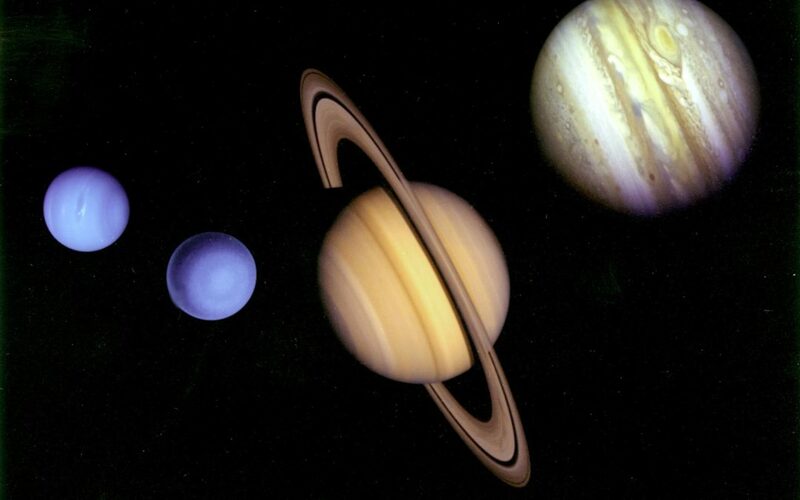 Your dashas (planetary cycles) show us WHEN they might deliver those problems. (The transits of the planets are also taken into consideration here). It is very helpful to identify the “trouble-makers” in our own charts, so that we are prepared in advance to ward off the worst of the possible effects. If we examine a person’s birth chart and find any of the malefic planets sitting in the signs or houses indicated above, usually the individual will confirm that this is an area where they carry some stress, have had problems with, or sometimes a dysfunction requiring surgery or hospitalization. The same would be true if some type of affliction were found affecting the particular planet governing the part of the body under consideration. Here is an example: Saturn represents grief in general and in my case also vulnerability, as it rules my 8th house. Mars represents accidents and scars. As luck would have it, these two planets are also enemies, so they are not too happy to be sitting together in one house! When I was young, perhaps between the ages of 8 and 11 (no records were kept on this event), I picked up my cat to save him from a barking dog who was scaring him, and in his fright, the cat accidentally scratched my right eye. The doctor said there would be a permanent scar on my cornea (there is), but that it shouldn’t permanently harm my vision. Such are the joys of a Mars/Saturn conjunction! Here is another interesting example: Princess Grace of Monaco was born Grace Kelly on November 12, 1929 in Philadelphia, PA at 5:31 a.m. Her beauty was legendary and shows up in the birth chart as well as any number of blessings: intelligence, “name and fame”, successful career, creativity, foreign travel, wealth. However, the malefic planet Rahu was located in the sign of Aries in her chart. Many may think that the cause of her early death was simply a tragic vehicle accident, since the car went over an embankment, and she passed away the following day. However, the actual cause of her losing control of the vehicle, according to my teacher, was that Rahu (the “Seizer”) caused a brain seizure (Aries rules the head and brain area). Rahu is the north node of the Moon (he represents the head or upper part of the cosmic serpent). The dashas or planetary cycles she was running on the date of the accident were: Venus/Moon/Rahu/Rahu. So Rahu was active at the 3rd and 4th level in the dasha lineup, giving him plenty of influence to cause such an event. The next day, September 14, 1982, when she passed away, the dashas had changed at the 4th level to be Venus/Moon/Rahu/Jupiter. We find Jupiter in her 8th house, which covers the area of “life and death” for all of us, and her Jupiter was ruling the 3rd house (cause of death) and 6th house (distress, health problems), so that is how even a natural benefic planet like Jupiter can be an indicator of a health problem or even one’s demise. Have you ever wondered how several children could grow up in the same home environment, yet only one of them turned out to suffer from addictions or addictive behavior? That would be the planet Ketu (south node of the Moon, and represents the tail of the cosmic serpent). If Ketu is in a dominant position such as conjunct the Moon, or in the first house, etc., addictions may arise, unless one chooses to really utilize the more positive gifts of this planet which could include a very developed intuition, and interest in spiritual development. There are no end of examples that might be presented here. For example, there are many types of venereal disease afflicting the population at large these days. If someone wants to know whether they may be prone to contracting one of these STD’s, we would analyze the condition of Venus in their birth chart, as well as what planets might be sitting in their 8thhouse, and the condition of the ruler of the 8th house, as well as whether there may be any malefic planets sitting in the sign of Scorpio. If any of these factors are afflicted, we can advise which time periods to take especially good care of one’s self in order to avoid this type of vulnerability. This is simply a brief overview of the planetary significations that a Vedic Astrologer takes under consideration when studying someone’s birth chart, especially when providing a natal chart assessment, or yearly chart reading.